I finally got the cushion cover finished last night at midnight as I was determined to get it finished for this weekend. I really enjoyed making it even though the pattern for the front was quite time consuming to make. I think it looks quite impressive but to be honest anyone who knows how to do double and treble crochet could do it. This is the front side of the cushion. I wanted to make a multicoloured cushion but as you can see the majority of my wool stash contains yarns of pink/purple colour. Once I had completed a few rounds it was just a case of increasing on alternate rows. I just kept doing rounds until I had a made a side big enough to cover one side of a 16″ cushion pad. Here you can see the cushion side on. The left side is the front of the cushion and the right side is the back of the cushion. Here’s the back of the cushion. 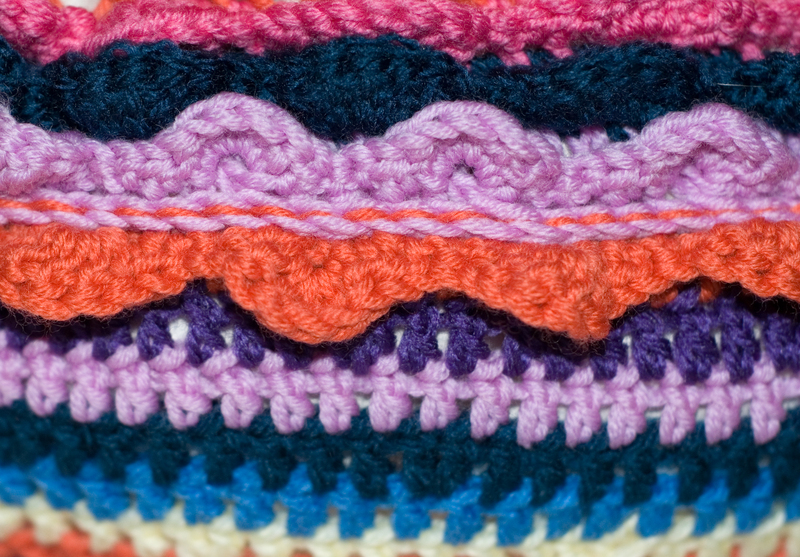 The last outer round was made with the same crochet stitch as the from side. Close up of the join between the front and back sides of the cushion. 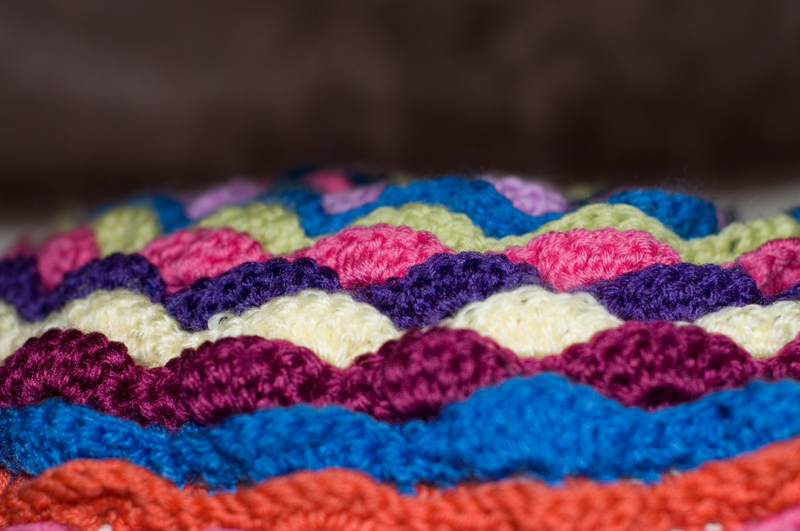 The two sides of the cushion were crocheted together using a slip stitch which actually looks quite neat close up. 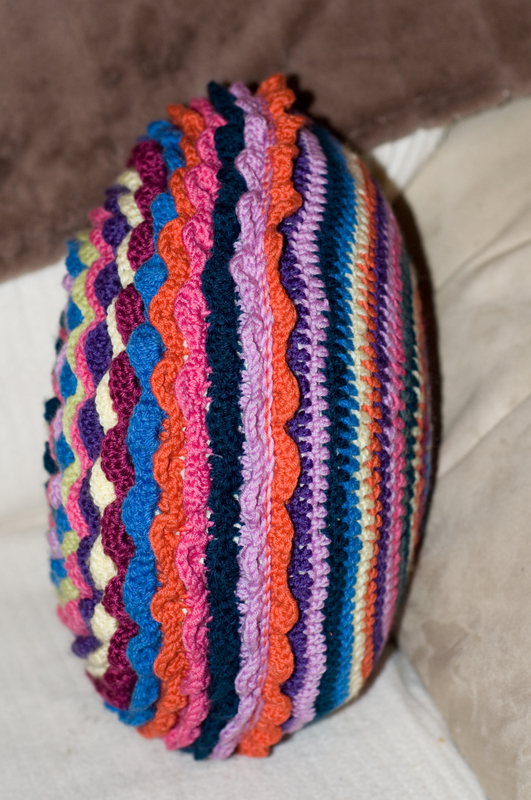 The lilac is the outer round of the top side of the cushion and the orange is the outer round of the back side of the cushion. 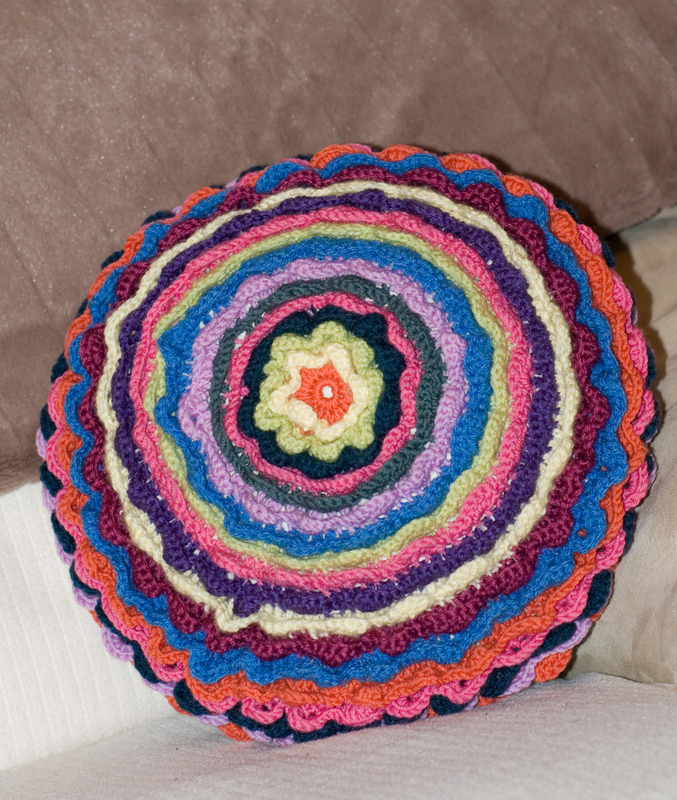 I love how the front of the cushion has turned out. I would have loved to have used more of the avocado green yarn but I didn’t have much of it left from a previous project. What do you think of the cushion? I know it’s far from perfect but it’s the 1st time I’ve made a round cushion with and although I did use a pattern to start with I kind of did my own thing (usually when I’ve made a minor mistake I’ll just carry on and adapt). I decided to give the cushion to my daughter so it takes pride of place where she sits on the living room sofa. When I asked her what her favourite part of the cushion was she told me it was the ‘pink’. So that’s my cushion finished, what project do I have up my sleeve next? You’ll just have to check back soon. 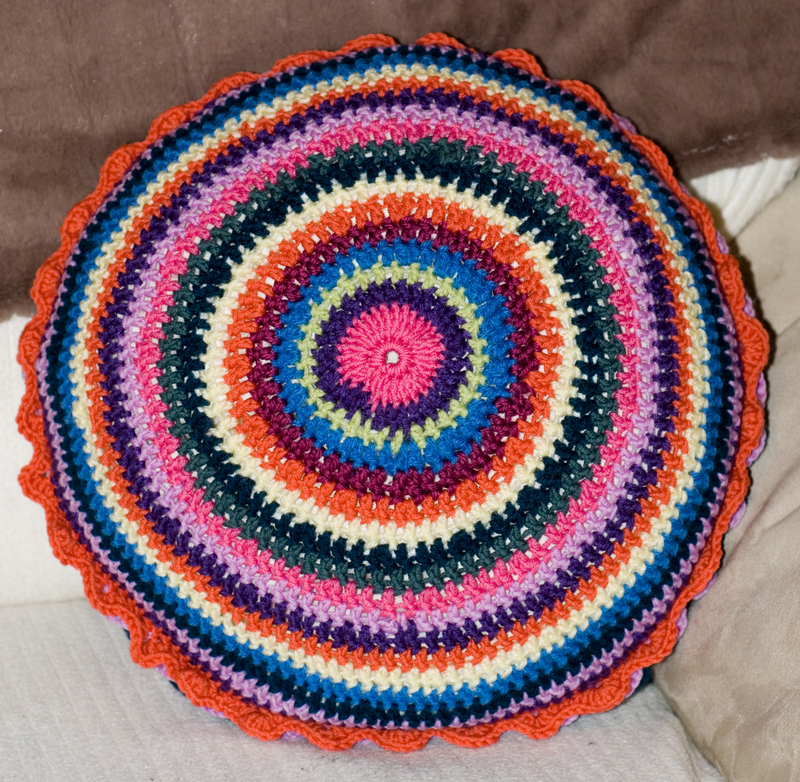 I love your cushion….has made me think it could be a perfect companion to my finished cushion! Thanks. I really enjoyed making it and have had so many positive comments that I may make another one. I love your pillow! I can’t wait to make one myself!! Thank you, it’s really enjoyable to make – have fun!